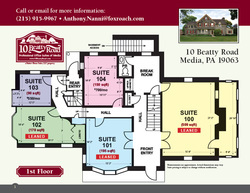 Suite 103 - Transpopmed, Inc.
Suite 201 - Frank Rupp Design, Inc.
10 BEATTY ROAD is FULLY LEASED. 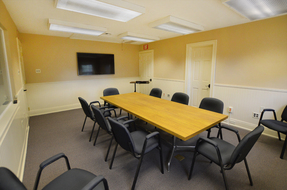 The Conference Room is available to non-tenants: hourly, half-day, and full-day. Ask about discounts regarding reoccurring meetings. 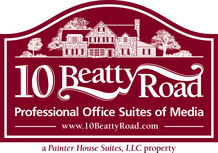 10 BEATTY ROAD is an office building located in historic Media, Pennsylvania. The former residence has been renovated as professional office spaces for up to eight small business owners to lease. 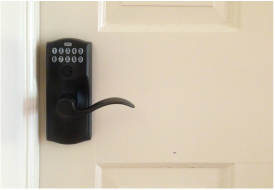 Each tenant has access to free parking (16 spaces), roadside signage, modern conference room, a private mailbox, and quick access to downtown Media, Beatty Road SEPTA, I-476 and much more. 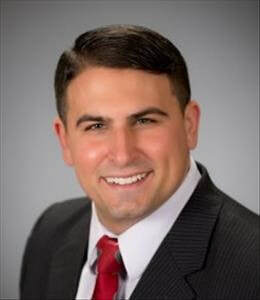 © 2015-2019. Painter House Suites, LLC. All rights reserved. Site by Frank Rupp Design, Inc.